- The cycle of feed and food, what is sustainable long term? 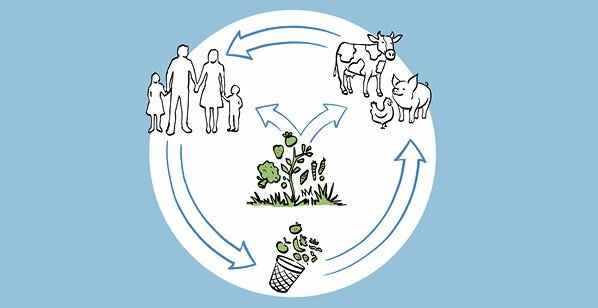 The cycle of feed and food, what is sustainable long term? Is it efficient to grow crops to feed animals if it could also be used for human food? While some businesses provide services, we, the agriculture industry, provide protein to feed the world. Lately, people are more aware of what they eat and how it is produced. They ask themselves if the food they eat is safe, healthy and sustainable. Documentaries, tv series and public figures often show consumers what was, is or will happen with their food. This raises more questions about the ability to feed the world today and tomorrow. And it is a very complex topic. It is a simple fact that humans need protein. Animals and plants can provide us these proteins. Animals and plants also need resources to thrive. This raises questions like; Is it efficient to grow crops to feed animals if it could also be used for human food? And how can we create an efficient and sustainable process that will help feed the entire world? The most efficient way to grow protein depends on various factors. How this issue is approached in the coming years will also be critical in keeping the estimated 9.7 billion people expected by 2050 well nourished in a sustainable way. Dr. Van Zanten was awarded her Ph.D. thesis with distinction from Wageningen University in the Netherlands for her work on analyzing this very topic. She developed a formula that looks at various factors to determine whether or not crop or animal protein is the most efficient use of resources. The key factors she looked at were the type of land that was being used to feed animals, what animal it was and whether or not waste products humans could not consume, were being used by the animals. Dr. Van Zanten’s study showed very interesting results. In some cases, crops are a more efficient use of land for the purpose of protein production. However, also multiple examples are found where animals are more efficient in using the land to produce protein. For example, raising dairy cows on peat soil is found to be a much more productive use of the land then trying to grow human grade crops on it. Other examples are based on the feed input. Laying hens are able to utilize nutrients that humans can’t. This can be further extrapolated to include some of the 1/3 of food the United Nations estimates is thrown out every year around the world due to spoilage. This “food waste” has a lot of potential, especially when it is considered for use in animal feed for animals like swine. Insects could also play a critical role in consumption and waste, by providing nutrition for animals and humans alike. When looking for the most efficient solution, there will always be limiting factors that for the near future will not change. The most prominent ones are that there is a finite amount of land, the human population is expanding and we all need protein. We all realize that our society needs to be open to possibilities beyond what we consider ‘normal’ today. We need to think critically and look for ways to turn inefficiencies into opportunities. Both crops and animals will play a key role in ensuring a sustainable and food secure future. We are striving for Better Breeding Today for a Brighter Life Tomorrow. 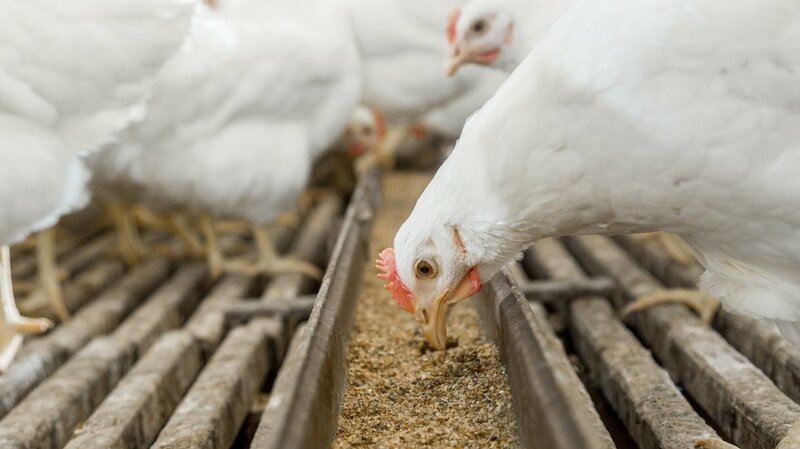 By focusing on innovations, open-minded collaboration, and striving for a more sustainable output, we believe we can create a more efficient cycle in the feed/food stream, which will lead to more balanced sustainable protein production. We need to meet the rising demand and prepare for the future population’s need for protein. So let’s take a full systems approach to solving this challenge.